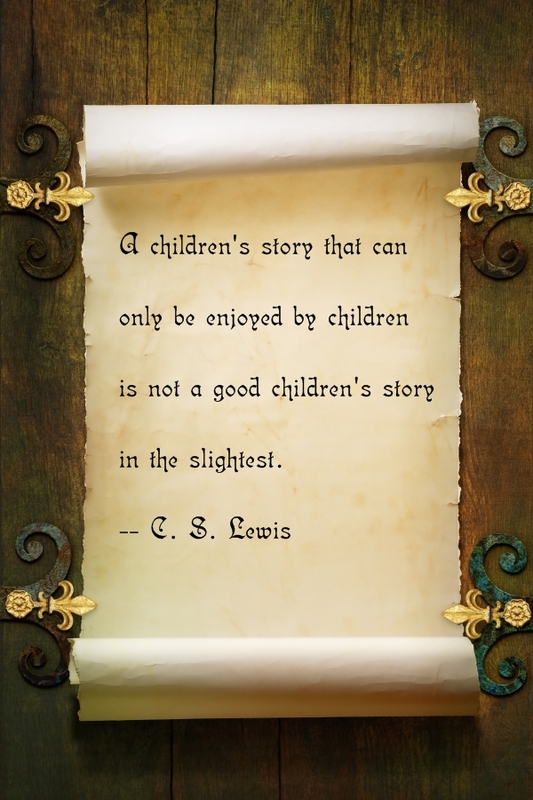 I agree with this completely, some of the best stories I have read as an adult were considered children’s stories. Including Mr. Lewis’s Narnia series. That’s exactly how I felt when I recently re-read Chronicles of Narnia! You know how it feels to return to a place you haven’t been since childhood, and everything feels different? Smaller, because you’re taller, or simply different than you remember? That’s a little bit like how returning to Narnia was for me. But it wasn’t a smaller place–it was so much bigger and deeper. I realized how many layers Lewis had given those stories. As a child, Narnia was wonderful. As a young adult, Narnia is profound. The Hobbit is also a good example. Same with Veggietales 🙂 I’m a young adult but I still love them, especially since many have jokes/phrases that only an older person would get. I’m a teen and I love the Hobbit and Veggietales. I also love Narnia and we recently read it for school! The C.S. Lewis quote above is probably my favorite quote of his.